Oh no! I’m almost out of Biscoff spread! Er, well, I’m scraping the bottom of jar #1. I do still have one jar left, but I have a feeling it won’t last much longer. I’m saving it as long as I can, to try to think of a stunning recipe to make with it. I’m trying to get away from the chocolate/Biscoff combination, as this is one that everyone is doing. 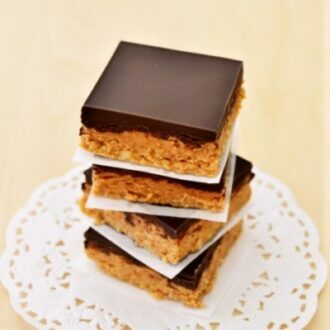 But before I do so, I have to share with you these chocolate Biscoff bars. This is a recipe I couldn’t resist making. I twisted up the recipe I posted earlier for no-bake chocolate peanut butter bars by replacing all of the peanut butter with Biscoff. Yeah, that’s nothing new, is it? Everyone’s replacing peanut butter with Biscoff. But this combination was so delicious, it was even better than the peanut butter version. I didn’t think anything could be better than chocolate & peanut butter in the same bite, but how wrong I was. It’s almost like chocolate and Biscoff belong together, especially in this particular recipe. In the original recipe, I had added Nutella to the chocolate layer, but in this new recipe, I replaced it with, you guessed it, Biscoff. I didn’t use graham cracker crumbs either, because graham crackers don’t exist in Australia (at least not the commercial kind). I used Arnott’s Nice biscuits, as the taste is the most similar to graham crackers that I have found, as well as the crumb. However, if you’re lucky enough to have Biscoff cookies in your local shop, feel free to use those instead of graham crackers for that extra hit of Biscoff. Also, as Biscoff is sweeter than peanut butter, I reduced the sugar to a bit less than 1 1/4 cup. The chocolate I used was Lindt 70%. 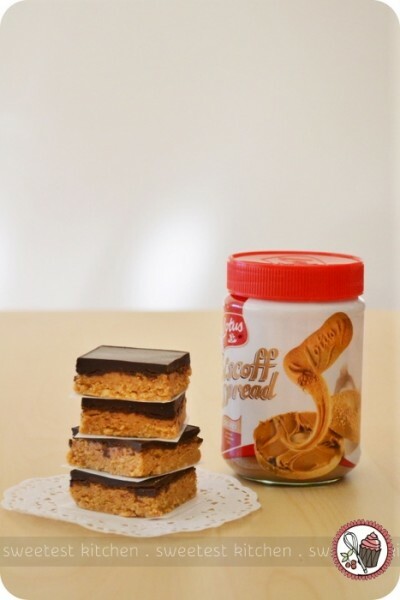 Want to know what happens when Biscoff meets ice? Check out my awesome recipe for chocolate Biscoff popsicles! Are you loving my Biscoff recipes? Head over to Southern In Law and thank Kristy for providing me with the Biscoff that is keeping me alive! 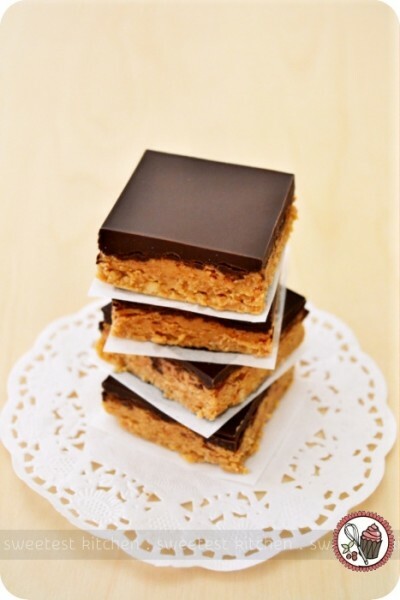 A tasty twist on the good old chocolate peanut butter bars, these no-bake chocolate Biscoff bars are sure to win you over! In a large mixing bowl, combine graham cracker crumbs, powdered sugar, ¾ cup Biscoff and butter and beat until combined. Press into a parchment-lined 8X8-inch pan, making sure top is smooth and level. Melt chocolate and 2 teaspoons Biscoff in a double boiler. Pour chocolate over Biscoff layer and spread out evenly (I tilted the pan around to get a smooth top, instead of spreading it out with a knife). Place pan in refrigerator just until chocolate is set and then cut into bars. Best served at room temperature. woah your chocolate layer is so incredibly smooth! your bars look incredible yum! Mmmmm No bake? WOW. They look amazing! 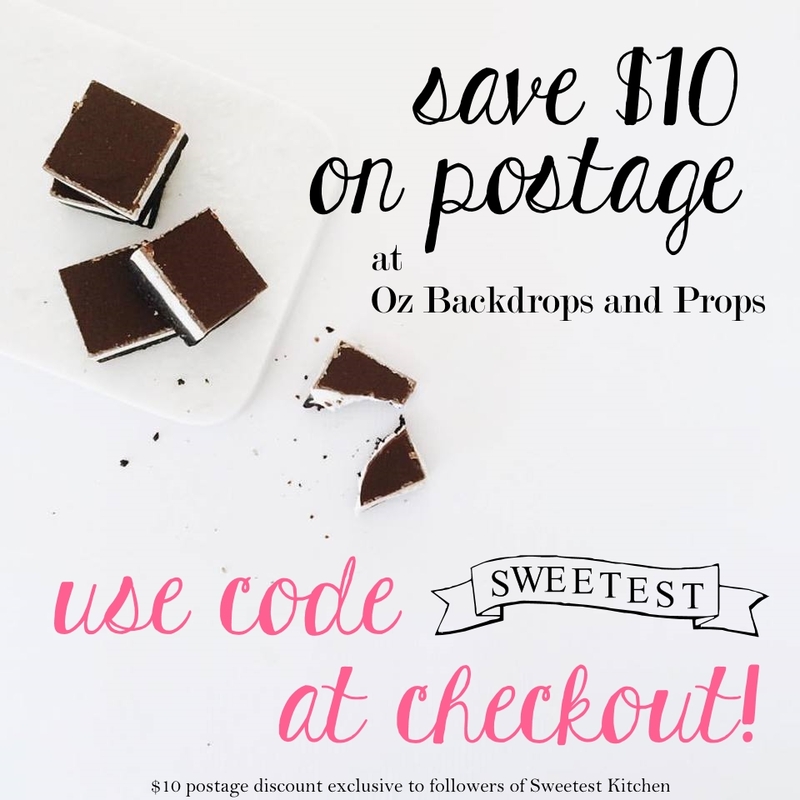 I love any dessert that doesn’t require me to turn on the oven – especially in the summer! Thanks for sharing, these look great. The chocolate spread is so smooth and perfect. Looks delicious! Beautiful photos! These looks amazing! I love that these are no-bake. That way, you don’t have to heat up the oven and the whole house to enjoy these in summer. They look so fancy, too — like you slaved for hours to make them. I finally found some biscoff, I can’t wait to try this. I fell in love with Biscoff a few months ago. I literally ate an enitre jar by myself over the course of a few weeks. By the spoonful, I really like it spread on a baanna. I am seeing it in my local PUblix but $4.99 way to high. Yesterday I found it at Walmart for only $3.48 and a $1 off coupon was attached. I bought both the creamy and the crunch. I just made these, they are in the fridge. I doubled the receipe and yes it was super easy. Going to take them tonight for the 4th fireworks. These were a huge disappointment. I wasted an entire jar of Biscoff because I doubled the receipe. They are way too sweet. I brought them into work and nobody likes them. I am glad I didn’t take to the 4th party last night. maybe the confectionary sugar wasn’t necessary? I’m sorry you were unhappy with these. I understand how angry you must be at wasting an entire of Biscoff. I have to say though that at least you have easy access to more Biscoff, whereas it just simply doesn’t exist in Australia. If this had happened to me, I’d be furious! 😀 I honestly loved these bars so much and wish I could have some every single day. They are definitely sweet, but I personally didn’t think they were overly so. We must have different tastes. She makes these in a 9×13-inch pan and uses 2 cups of powdered sugar (she also throws in white chocolate chips). Have a look at that recipe and see if it might be more appealing to you. If you doubled my recipe to fit in a 9×13-inch pan, The Apron Archives’ recipe uses less sugar than mine. If you make these again, feel free to reduce the sugar to perhaps 1 cup, or just under a cup. I’m not an expert on recipes, but I’d want to say that perhaps the sugar lends some stability to the mixture, helping to hold it together as well as making it sweet, so it shouldn’t be eliminated altogether from the recipe, but instead just reduced to suit your tastes. Again, I’m very sorry about your jar of wasted Biscoff. I am sending you an email that may interest you…. I love Biscoff spread with Apples, but decided to try to find other uses. I will definitely try this recipe because as someone who is allergic to peanut (butter) I’ve never been able to eat no bakes since most recipes require it. I know that I’ll lose the “healthy” properties of peanut butter, but I’ll gain the deliciousy goodness of the Biscoff! BTW We only fly Delta, so I get a pretty fix of the cookies!